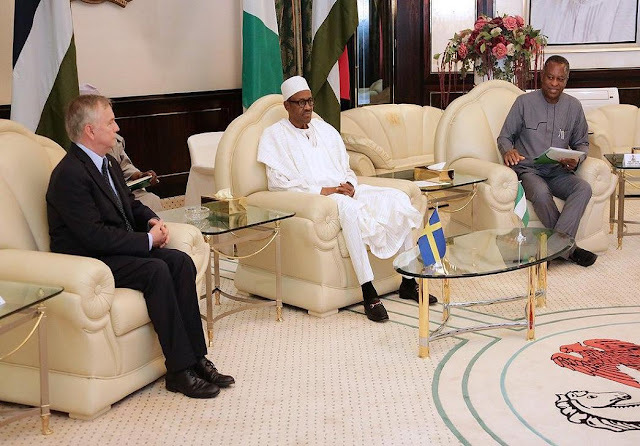 The Nigerian President, Muhammadu Buhari on Monday received the outgoing Ambassador of Sweden to Nigeria, Svante Kilander, at the State House, Abuja. 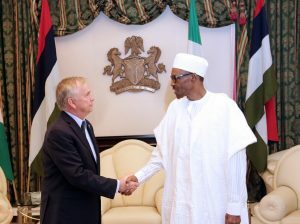 He paid him the courtesy visit as he round up his service to the Nation. However, he came to Nigeria in the year 2012 and will have to leave in accordance to the usual Diplomatic tenure of four years. This can only be extended for reasons which has to be extremely important. In response to the greetings, the Minister of Foreign Affairs, Geoffrey Onyeama acknowledged the importance of Sweden as a valuable partner to Nigeria. President Buhari, however, bid him farewell and wish him all the best.